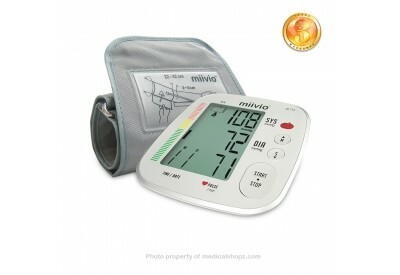 Blood Pressure Monitor comes with 3 years warranty. 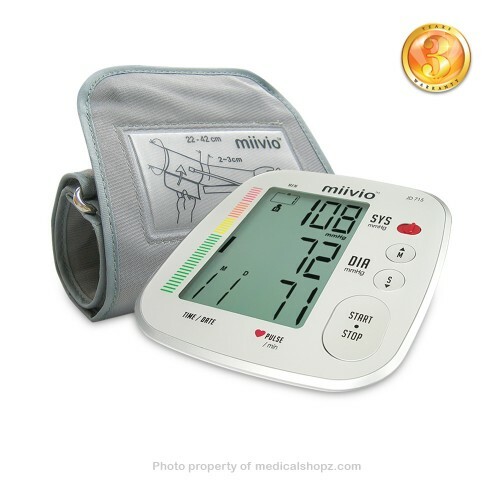 3rd generation of blood pressure monitor with dual sensor for better accuracy and less pressure grip on the arm. World Health Organization (WHO) guidelines bar. 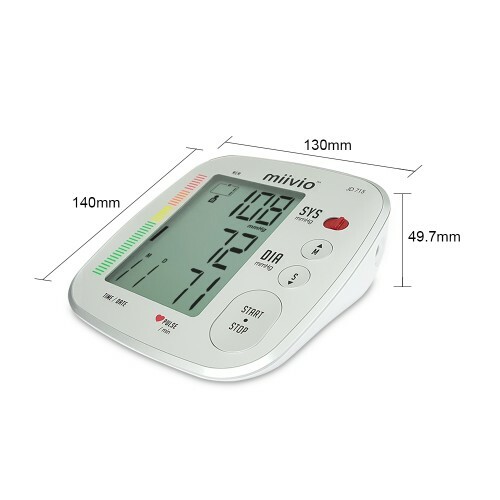 250 records for 2 users with date and time. 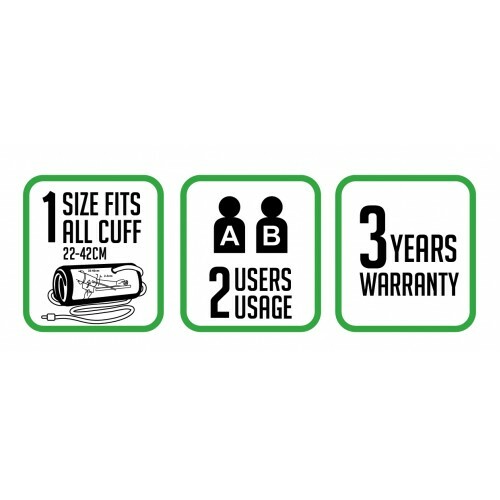 One-size fits all 22-42cm cuff, 4 x AAA battery, carrying case, user manual.